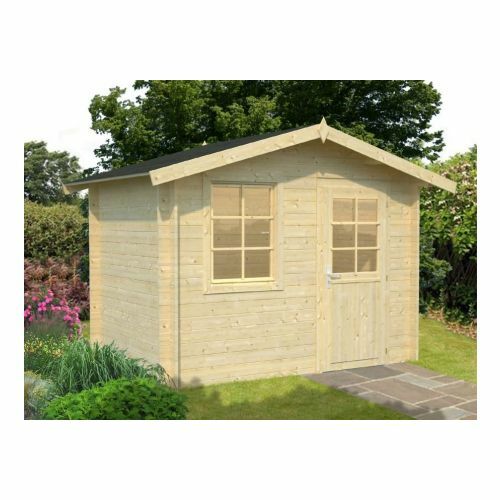 The Columbus 1 Log Cabin provides an expanded, more luxurious summerhouse for customers looking for great value for money with 28mm wall logs as standard. 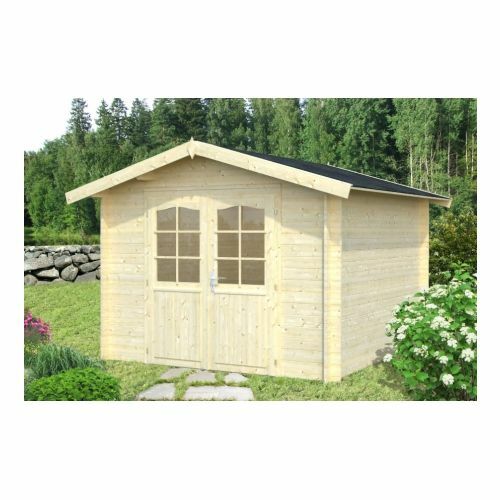 Columbia 4.6m² is a small log cabin style shed with single window and single half glazed door (both ﬁ tted with real glass). This cabin is built from nordic spruce untreated timber ‘logs’ that have been designed to slot together to build the wall structure and have been designed to allow window and door frames to simply slot into a predetermined position with allowance for movement from settlement of the timber logs. The window opens inwards into the building and the door opens outwards for space saving. 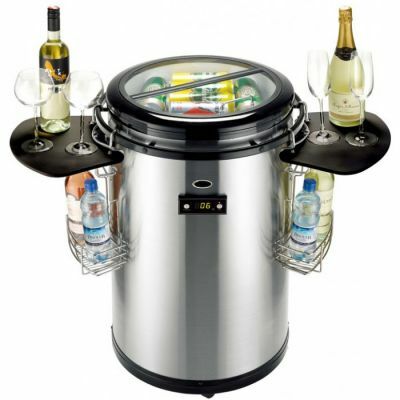 The New Jersey 2 is perfect for keeping your tools and other equipment safe from theft and other unwanted hands, so provides a wonderful solution to all of your storage needs. 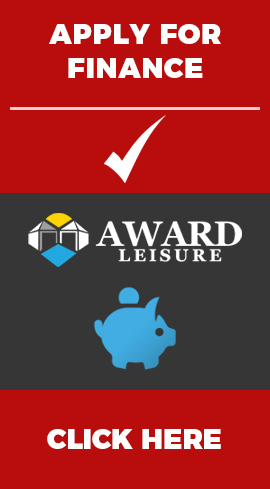 The Atlanta 1 is a superb multi-purpose building which can be used as a storage unit, garden home office or changing room. 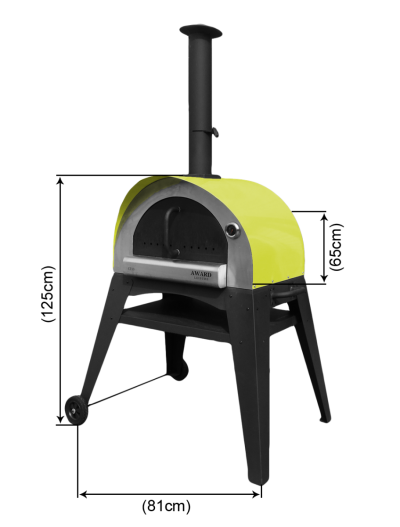 This building is constructed with 28mm thick logs and has a single door and a single window which provides plenty of light inside of the building. 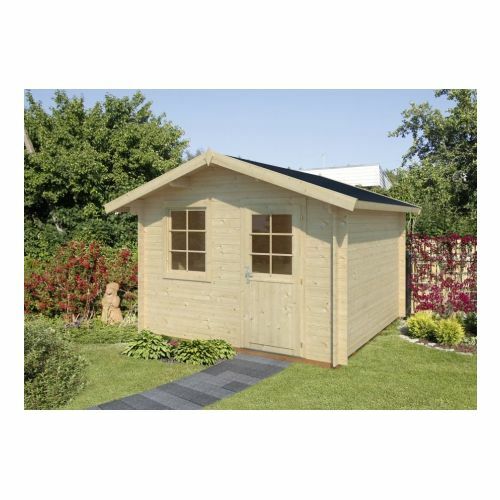 Combining a sturdy construction with a beautiful design, the Columbus 2 - 28mm Log Cabin is a stylish and high-quality cabin to complement your home. 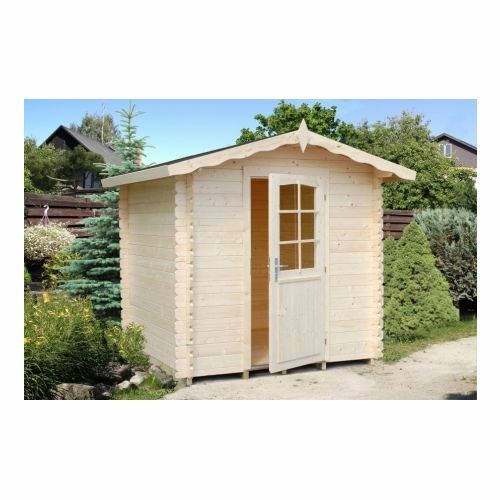 Beautifully constructed from thick 28mm Nordic Spruce interlocking logs, this solid and hardwearing cabin boasts an authentic chalet style build with chamfered log ends, supported by wind braces and treated foundation joists. 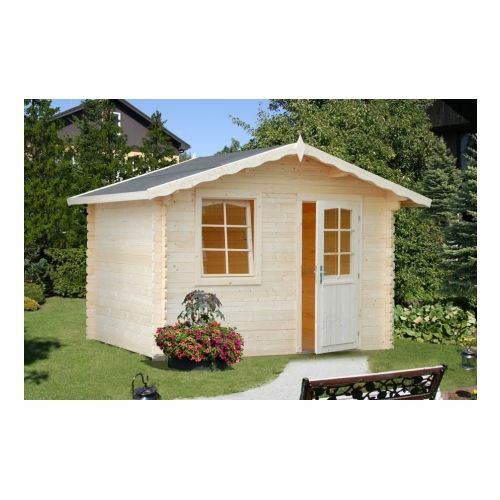 The strong floor and roof are 19mm tongue and groove cladding, well-known for its durability and weather resistant qualities, providing a long-lasting and reliable cabin. The Utah 1 cabin is a fantastic single tongue and grooved building made from 28mm panels. This pent roof building has misted glazing and low door sill covered with stainless steel. With an internal floor space of 8.4m2, this building would make for a great summerhouse or summertime reading room. 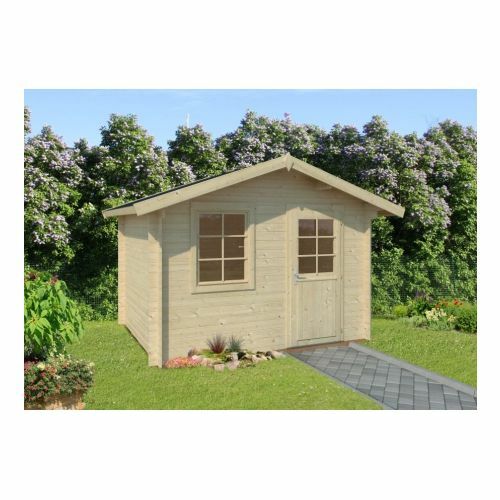 Providing luxury and quality space in your garden, the Jacksonville 2 - 28mm Log Cabin is the ideal hideaway for your hobbies, as a summerhouse or a fantastic den for your children. 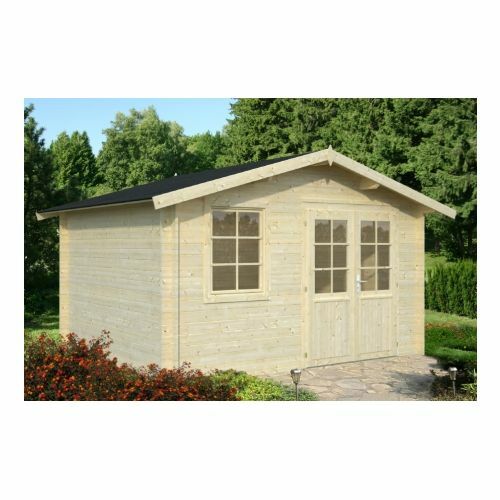 Beautifully constructed from thick 28mm Nordic Spruce, the interlocking log design provides a high quality, smooth planed finish chalet style design supported by wind braces for a robust build. 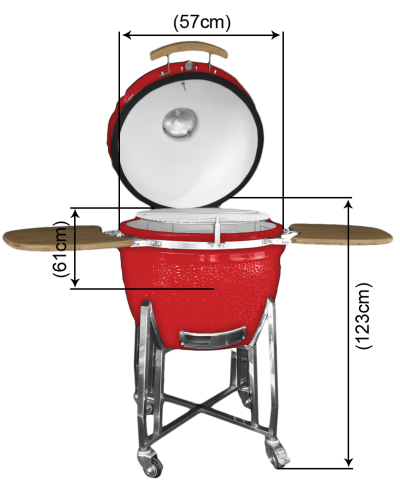 The delightful apex roof is 16mm tongue and groove, well-known for its durability, weather resistance and strength, ensuring a strong and reliable finish. 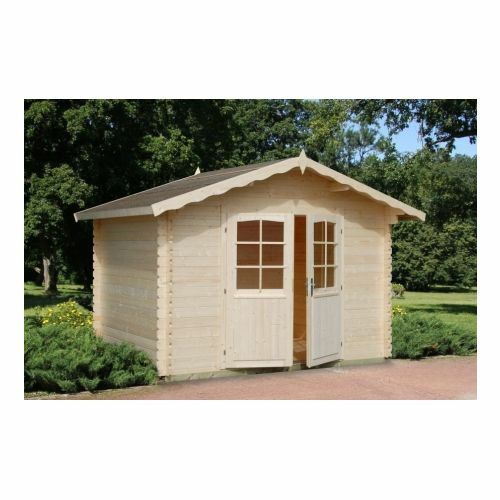 Used mainly as a great garden storage solution or home workshop, this New Jersey 1 Log Cabin with 34mm thick walls is a fantastic building to store any heavy machinery or tools in your house. 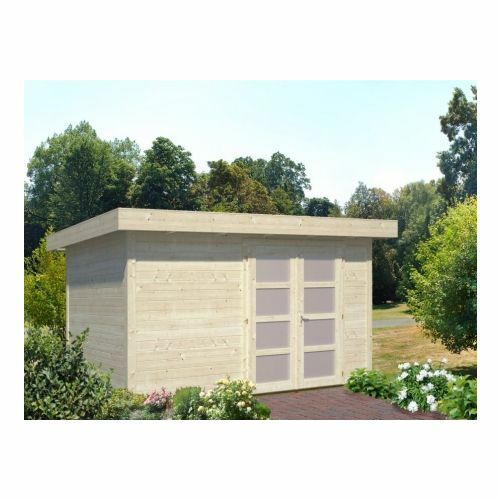 The Atlanta 2 is a superb multi-purpose building which can be used as a storage unit, garden home office or changing room. This building is constructed with 28mm thick logs and has a single door and a single window which provides plenty of light inside of the building.